Say hello to Vaness Hudgens' hot leading men too! 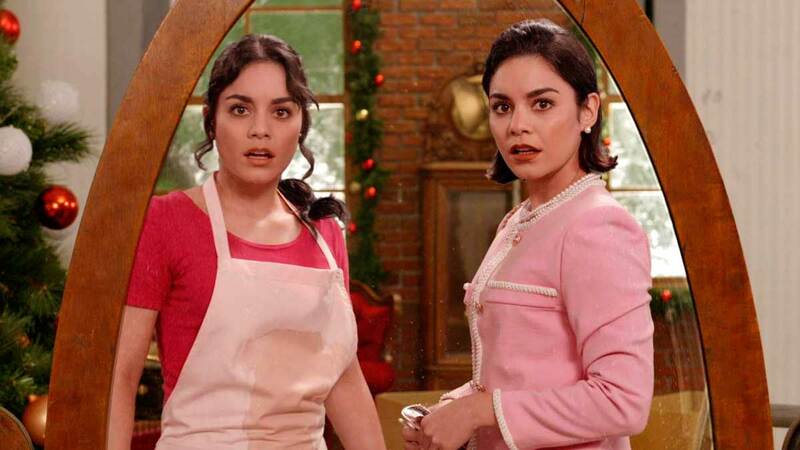 Forget all about The Christmas Prince because the year is 2018, 110 women just won seats in the House of Representatives, and Vanessa Hudgens is double starring in the ultimate Christmas romp, The Princess Switch. Vanessa is biting off as much as she can chew as both Stacy, a "common" baker from Chicago, and Margaret, the Duchess of Montenaro, as they choose to switch places and find themselves falling for the handsome men in each-other's lives! One of those men is a Prince! The other man is super hot and has an adorable daughter! Win win....until those men find out they've been lied to but we'll worry about that when we gotta, ok?! It's not all about men, of course. In the trailer, Margaret wants to see what it's like to be a "normal girl" for once, while Stacy gets to ride horses with a prince and try on a vaguely British accent. It's a Christmas miracle. Oh, and if this sounds exceedingly similar to the Disney Channel classic Model Behavior starring Justin Timberlake, it is, but I don't care!